NEW YORK – February 12, 2019 – A new study released today finds that adopting a modernized service transformation strategy is critical to achieving measurable improvements in overall IT efficiency and driving customer and employee satisfaction. Commissioned by EasyVista Inc., a leading provider of service management for IT organizations, the report found 67 percent of organizations are most interested in leveraging a self-service portal, with another 60 percent seeking a self-help solution to meet on-demand needs and deliver better employee and customer experiences. The study found that while 97 percent of companies surveyed are eager to adopt a service transformation strategy, half (50%) believe that legacy IT infrastructure remains a top-three barrier to digital transformation initiatives within their organization. The study was conducted among IT decisionmakers to shed light on the complexities organizations are facing to fund, manage, automate and implement service transformation tools in their enterprises. The report also revealed that AI and machine learning-powered innovations, such as chatbots, are gaining widespread use as part of organizations’ efforts to provide intelligent, on-demand customer service and personalized end-user engagement. Nearly three-quarters (74%) of IT managers say their organization currently implements machine learning, compared to half (50%) who say the same regarding AI — indicating the opportunity across many enterprises to further improve customer engagement through intelligent service automation. Four-in-five (79%) IT managers say their organization plans to increase investment in service transformation solutions. Eight in ten (83%) plan to increase their use of self-help solutions as a component of their service transformation program in the next 12 months. 63 percent (63%) see focusing on employee and customer experience initiatives as important for achieving digital transformation. More than half (51%) report their organization has adopted a self-service portal and self-help to help reduce tier 1 calls. The State of Service Transformation report is based on a survey conducted by LEWIS on behalf of EasyVista among 350 IT managers of companies with 1,000 or more employees on December 12-17, 2018 with a margin of error of +/- 5.2 percentage points. Inquire here to obtain a copy of the full report. EasyVista simplifies IT Service Management by making it easy to deliver and easy to use for today’s enterprise. The EasyVista IT service management platform was created to help companies automate and personalize service delivery to improve IT efficiency and increase staff productivity. 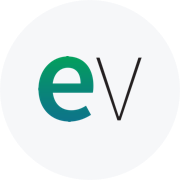 Today, EasyVista helps 1,200+ enterprises around the world radically improve service user experience, dramatically simplify and accelerate service creation, and reduce the total cost of IT service delivery. EasyVista serves companies across a variety of industries, including financial services, healthcare, higher education, technology, public sector, retail, manufacturing and more. Headquartered in New York and Paris, EasyVista is a rapidly growing global software company.